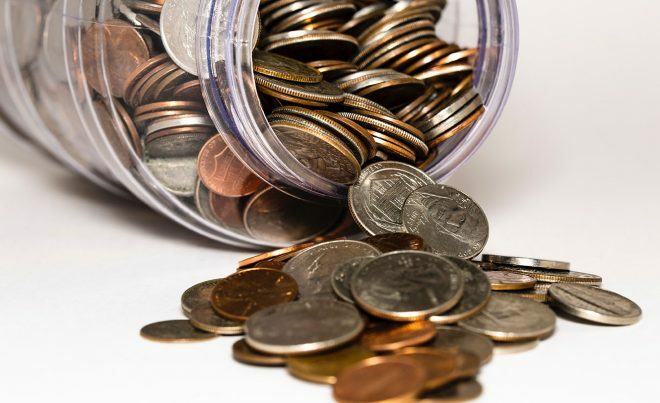 In the last few weeks, PeoplePerHour challenged our talented community to come up with their very best Easter freelancer Offers. Offers are ‘off-the-shelf’ jobs that freelancers can complete for buyers over and over again. 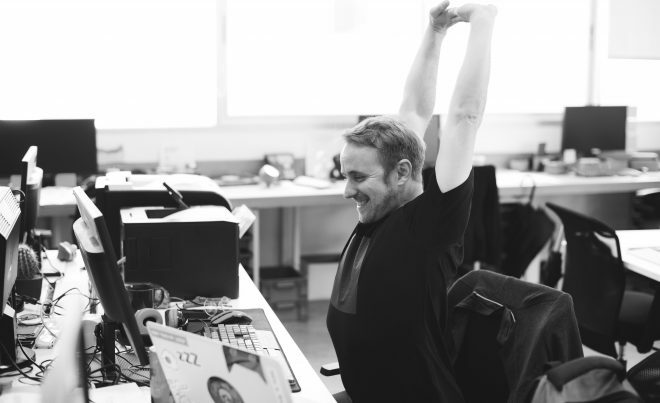 They provide a helping hand to small businesses for tasks such as SEO, social media, blog writing, website design, translation, video production, and much more! As usual, our freelancers did not disappoint! 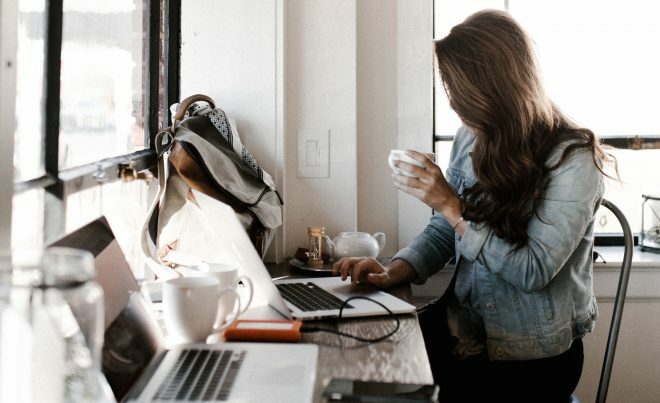 We’re excited to unveil a whole new set of freelancer Offers for our small business buyers to purchase, just in time for Easter. Here are the four that we’ve judged to be the best! Is your email marketing sorted for the Easter break? 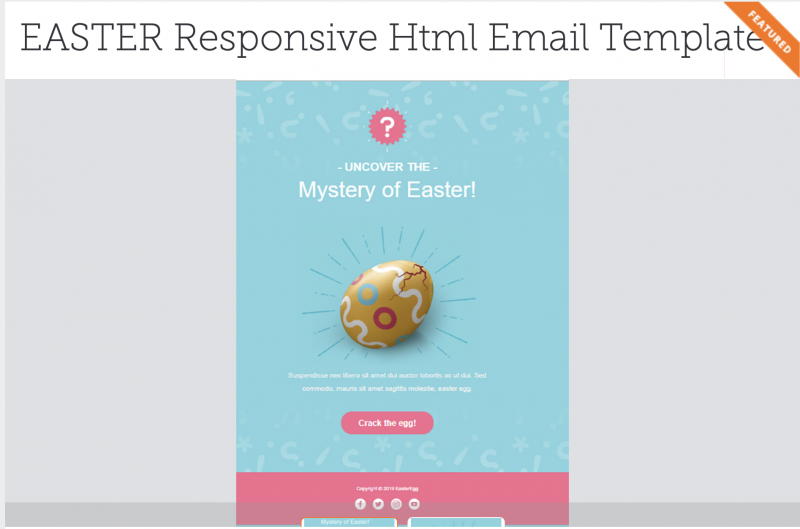 Besim H. will design an Easter responsive HTML template, compatible with email marketing providers such as Mailchimp, Outlook and Aweber. Buy this superb Offer from Besim today for just £40! 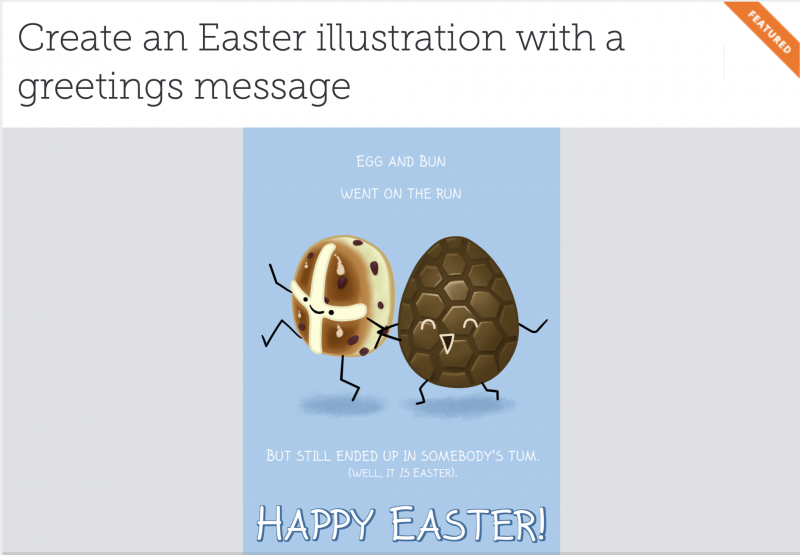 Unanimously voted by our marketing team as the favourite of them all, Tessa C. offers to create a fun, custom Easter digital drawing and add a message of your choice. It can be as funny or as serious as you like and she can include logos in the design if you wish. What a great way to celebrate Easter with your clients, coworkers, friends and family! Buy this fantastic freelancer Offer from Tessa for just £25! 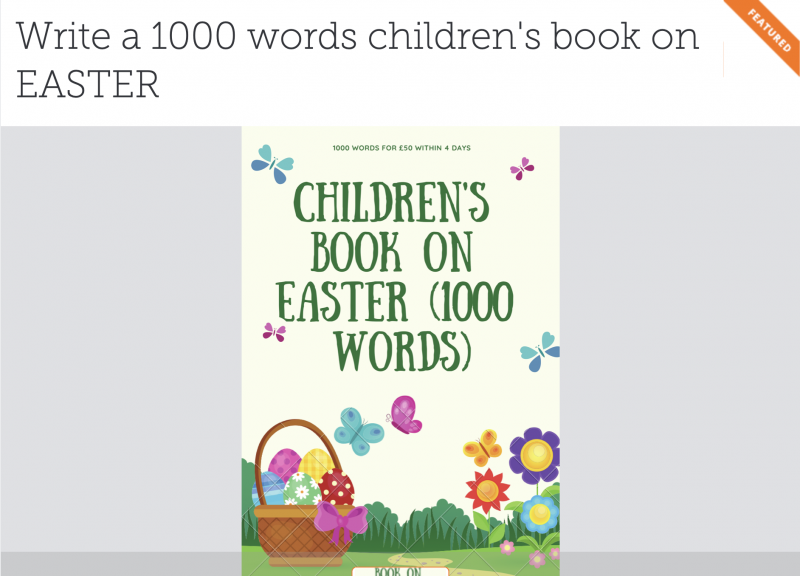 Fancy having a children’s book written for you this Easter? What a fabulous way to delight and inspire your kids, grandkids, or the young people that you work with. Simply provide a high-level overview and the tone of your Easter children’s story and leave the rest to Mohammed. He promises to deliver the full story within four days! Buy this excellent Offer today from Mohammed for just £50. 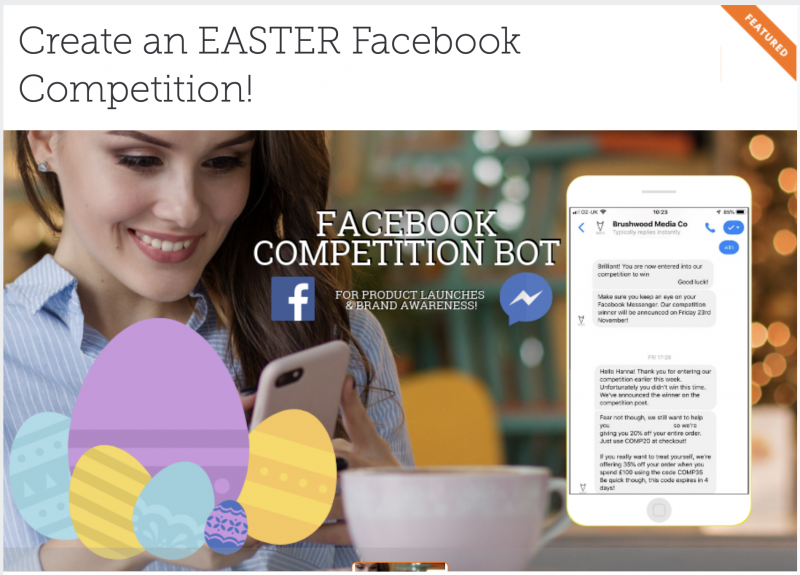 Stand out from the crowd this Easter with a Facebook competition via a bot that connects with Messenger. Designed and installed by Facebook expert Hannah F., your Facebook competition will be fully automated and will encourage all participants to purchase from your store or website. Want to go viral and increase sales over Easter? Buy this amazing freelancer Offer today from Hannah for just £75! With more than 70 Offers to choose from, you can get your business Easter ready with PeoplePerHour.